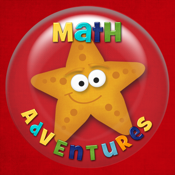 Math Adventures will take you to the circus, through the swamp, into outer space and land you safely back home. This game was designed by a Kindergarten teacher in a top rated elementary school. Its unique design uses math manipulatives (also known as math counters) to help children find the answers to simple addition and subtraction problems. 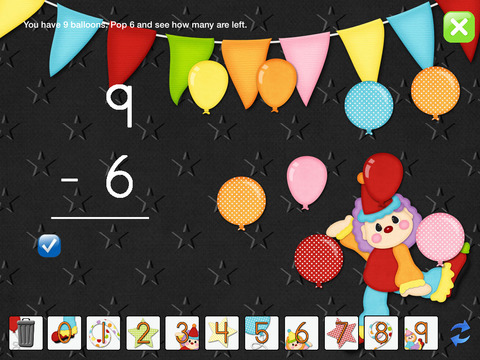 Simple story sentences are presented to help your child understand the math problems. The interactive manipulatives help to make math fun and easy. 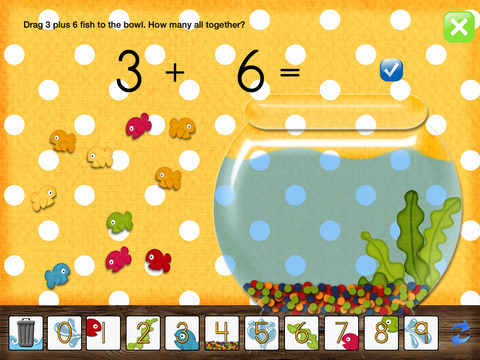 With each game your child will have a unique and fun math adventure. This game covers core concepts taught in Kindergarten and First Grade. It even allows you to choose your child’s own math level. Parents, you can now have a fun and attention grabbing way to keep your child interested while practicing their math facts. Teachers can use this as whole class instruction or within small groups. Download your copy today and let the adventures begin!